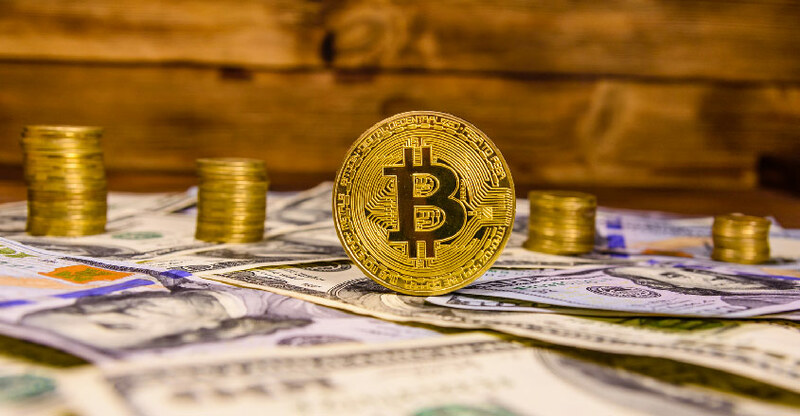 The cryptocurrency market has typically rallied in the last quarter of the year and many have been expecting the same thing this year. There’s evidence of more money coming into the market, especially from hedge funds, and that’s a positive driver for the market. Stil, 2018 has been a bear market and that means we could see tax-loss selling in the fourth quarter instead of buying. A recent article in Bloomberg highlighted the fact that institutional investors are now the largest buyers of cryptocurrencies in amounts more than $100,000. They’re mostly trading peer-to-peer through private transactions, bypassing the exchanges, which means we’re not seeing the higher volume from these traders. It also means the investor base is changing and that’s why this quarter could be different from past final quarters. There are advantages for large investors who trade through companies. Doing so allows them to take a big tax loss this year. That way they can then shield other income and carry forward losses into next year. Loss carry-forwards can be used to offset tax gains in 2019. Unlike personal losses in investments, which are capped at $3,000 to offset other income, a company’s losses are unlimited. Looking back at the last bear market in Bitcoin (BTC), I’m watching for a similar price pattern. BTC had spiked up into a high in December 2013 (similar to the spike into the 2017 high) and then chopped its way back down into a low in early October 2014, dropping 85% from its December 2013 high. From the October 2014 low BTC bounced into mid-November and then dropped lower into mid-January 2015 to complete the bear market. This year’s loss so far (into the mid-August low) is 71%. An 85% loss would take BTC down to about $3,000. If other similarities between 2014 and 2018 hold, we’ll see a low in January 2019. Whether or not we’ll first see a higher bounce into mid-November is questionable. One reason to think it will be a little different this time has to do with more institutional money in BTC. Back in 2013-2015 the investors included a group of mostly cypherpunks and those few farsighted investors willing to take the risk with investments in this new digital currency. Today’s investors include large hedge funds and wealthy investors involved through family trusts, LLCs and other investment vehicles. These investment vehicles can take big losses this fall to offset other income and carry excess losses forward into the future. Special Report: Learn the powerful secrets of serious cryptocurrency investors — before Wall Street catches up! I am of course only speculating what tax-loss selling will do to the crypto market in the next month or two. The bottom line is that I believe we’ll see lower prices before a stronger recovery. That’s not good news, of course, but it does mean we might be able to build a little larger position at lower prices, setting us up for a banner year in 2019. “I personally think that cryptocurrencies are here to stay. I think there is a future for them. I’m not sure they ever come to rival the dollar or other hard currencies, but there’s a whole section of the world that really is hungry for functioning currencies that they can’t find in their local currencies. “There’s [sic] 140 countries in the world, every one of them has a currency. Probably two-thirds [emphasis mine] are not worth the polymer or the paper they’re written on, and those parts of the world rely on hard currencies. Hey Buddy!, I found this information for you: "How Companies, Not People, Will Drive Bitcoin Higher". Here is the website link: https://realdaily.com/how-companies-not-people-will-drive-bitcoin-higher/. Thank you.